This season I recommend you to give a try to one of these blue jumpsuits. Why? It’s comfortable, stylish and blue ideally fits other colors. 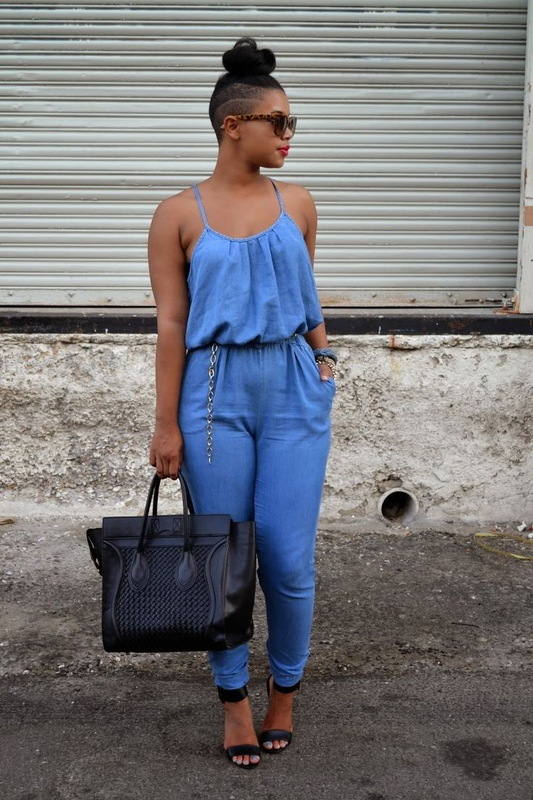 In this collection are gathered my favorite 10 ways to style blue jumpsuits. You gonna be wowed to see how this staple can be be both feminine and sophisticated. If you are still unsure how to look awesome while wearing a blue jumpsuit, then you better take a close up look at these 10 stylish outfit ideas. Scroll down to see awesome style tricks. Hope this inspirational collection will give you some fresh ideas. This one is one of my favorites. We see deep blue velvet long-sleeve jumpsuit completed with bright shiny metal clutch and glossy blue sandals.